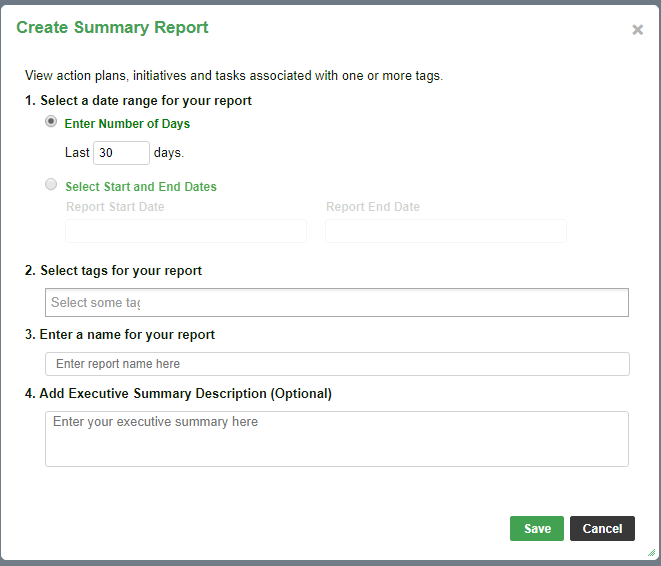 This article contains the tutorial on how to create reports based on tags. 2 . A popup window appears. Fill in the details for your summary report. Enter the date range for the summary report. You can enter a number of days or select a start and end date for the report. 4 . Add the name of the report and a summary description. 5 . Click ‘Submit’ to save your progress. The page will refresh and show the newly created report.